What radio would you grab in a fire? Lately, fires have been on my mind. No doubt, this is because there are so many wildfires in the greater southern Appalachian region right now, which is in the midst of a record drought. Brush fires start up almost daily, and no rain is in sight. In the mountains, the air is hazy with smoke, and it’s become a struggle for fire departments to contain these blazes, even with help from outside the region. Living, as we do, in a forest, we’ve always had to think through contingency plans if a forest fire should threaten our home: with only a two hour (or so) warning, what items would we grab and load into our truck? Of course, we’d likely focus on those things that are irreplaceable and thus essentially invaluable: our few family heirlooms, boxes of photos, documents––you know, stuff you can’t buy. But what about radios? 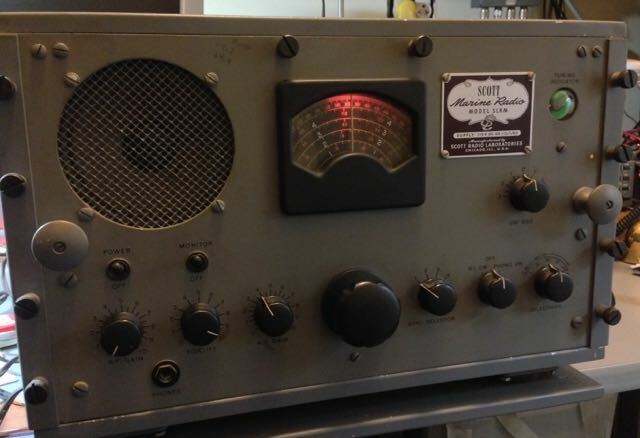 I hope I’ll never be forced to choose the one thing I should save from my shack, because there are several to which I’m rather sentimentally attached…There’s my Zenith Transoceanic, for example–the first proper shortwave radio I ever owned. There are also a number of vintage radios as well as some SDRs which have become my staple receivers. In the end, though, there’s no question which radio I’d grab. 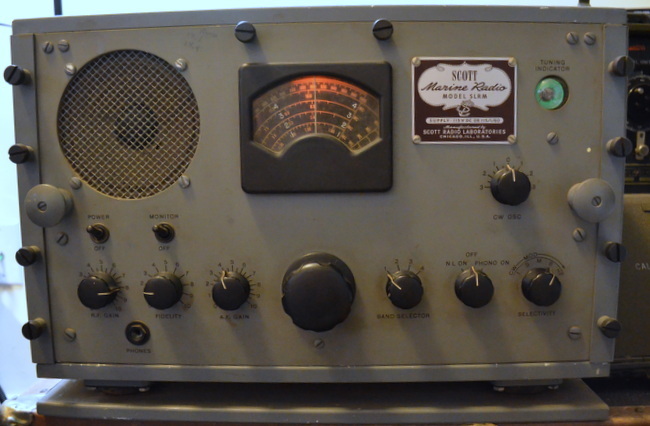 It would have to be my Scott Marine Radio Model SLR-M, affectionately nicknamed “Scottie.”. True, she’s not even close to portable at a solid 90 pounds, but I’d strap her to the roof of my vehicle, if I had to. Why? Well, it’s the most pristine vintage radio I own, and I use it daily. If it’s not tuned to Radio Australia in the morning, it’s tuned to my AMT3000 AM transmitter on 1570 kHz drawing in any of a number of stations I relay from my WiFi radio. Scottie simply isn’t replaceable. Even though my Elecraft KX3 probably costs more in terms of monetary value, I could eventually scrape together the money to buy another KX3. But I couldn’t buy Scottie again. Not this one. So, there you go: after we’ve saved those things important to our family, I’d grab a 1945 receiver and haul it to safety. Post readers: Now I’m curious–if your home was threatened by fire or other disaster, what radio would you save? Please comment! This entry was posted in Boat Anchors, News, Radios, Shortwave Radio, Vintage Radio and tagged AM, boat anchors, Medium Wave, Scott Marine Radio, Scott Marine Radio SLR-M, SLR-M, SStran AMT3000 AM Transmitter, Vintage Radio on November 15, 2016 by Thomas. Hi Tom, I just wanted to compliment you on your fine website. As a kid I would listen to Radio Netherlands which made me quite the hit with mom because she was homesick for our native Holland for quite some time. I was heart broken to find out that Radio Netherlands went dark not that long ago. Back in 1967 my family moved to Australia and went there by freighter. Things didn’t work out as planned and we returned on an old American freighter, the “African Moon”. I became friendly with the radio operator on that ship and he let me shortwave listen when he was off watch. The receiver was a “Scott” and appeared to be the same as yours. They also had a “Scott” receiver in the lounge that had a slide rule dial that was used for entertainment purposes. I was hooked. I wanted to be a radio operator. Needless to say I didn’t follow through on that dream and I suppose that’s just as well seeing as how ROs are a thing of the past. Thanks so much for sharing those memories, Vendel! I bet reception was nothing short of amazing while you were at sea. I’m guessing the slide rule model Scott you listened to in the lounge was the model SLR-F (click here for a photo). Just the other day, my wife looked around my radio shack and asked what radio I would grab if the house were on fire. My answer was the Scott Marine SLR-M. It represents everything I love in WWII era receivers: built like a tank, great sensitivity, beautiful back-lit dial, built-in speaker, phono in, a magic eye and–since it was intended as a troop morale radio–beautiful room-filling audio. 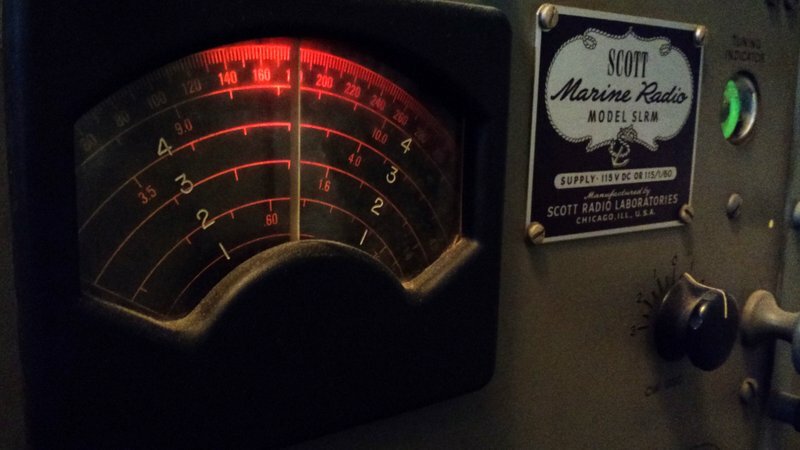 This entry was posted in AM, Boat Anchors, Mediumwave, News, Nostalgia, Radio History, Radios, Shortwave Radio and tagged Scott Marine Radio, Scott Marine Radio SLR-M, Vendel Boereel (K2DSI) on March 4, 2016 by Thomas. It’s a little holiday time-travel I cooked up for you on this great vintage rig. I’m actually playing the song via an SStran Model AMT3000 AM transmitter I built from a kit (more on that in a future post). The transmitter has been set to 1410 kHz, to which the SLR-M is tuned. Though the microphone on my Flip Video camera makes the sound in this little recording tinny (you’ll have to trust me that, live, it’s remarkably warm and rich), it does feel a bit like radio time-travel to hear a 1940s-era song played on a 1940s era-radio. 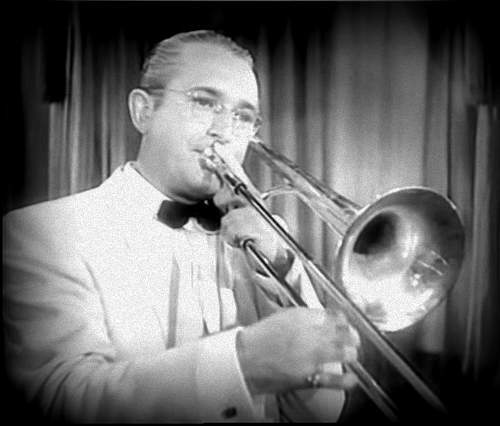 This is just how WWII servicemen might have heard this music. 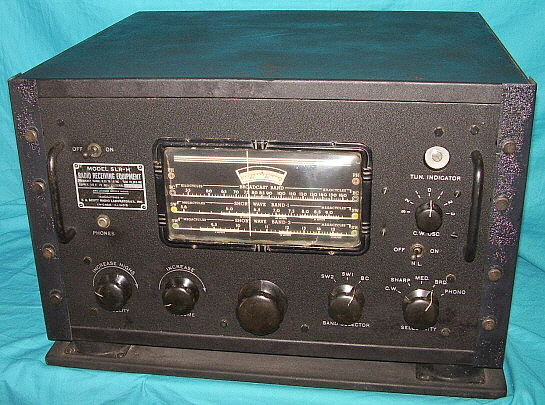 This entry was posted in AM, Art, Mediumwave, Music, News, Nostalgia, Radio History, Radios, Shortwave Radio and tagged AM, boat anchors, March of the Toys, Medium Wave, Scott Marine Radio, Scott Marine Radio SLR-M, SLR-M, SStran AMT3000 AM Transmitter, Tommy Dorsey, Vintage Radio on December 24, 2014 by Thomas.